John Terry has looked like Titus Bramble, Frank Lampard has started fewer games than Ali Dia (Google this name if you want a laugh at Graeme Souness…and who doesn’t want to do that), Didier Drogba has been blowing hot and cold more often than Katy Perry and Fernando Torres has just been blowing cold, very cold. What an earth is going on over in the blue half of West London? 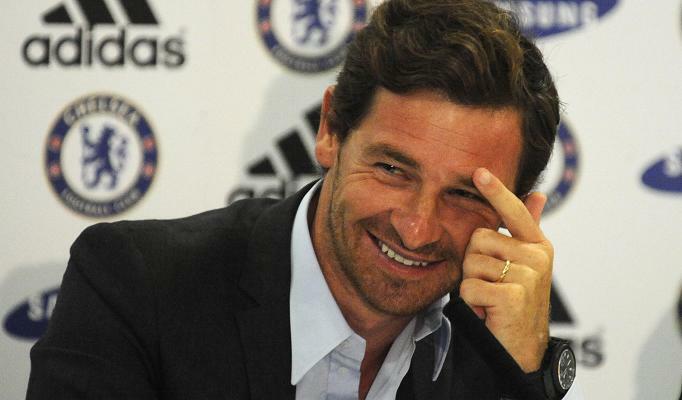 Three words, Andre Villas-Boas. Ok, admittedly those words won’t surprise many of you out there and why would it? The former Porto man has come in for more than his fair share of criticism from fans, pundits and journalists alike. Whether it be his confusing tactics, confrontational attitude in press conferences or his choice to defend the impotent Fernando Torres until the cows come home. So yeah, another generic AVB article right? Wrong. After re-watching the a few highlights from the season so far (because being a student doesn’t allow you to afford a social life on Friday night’s) but this time I was able to watch this time without the bias towards Arsenal, the euphoria surrounding Walcott’s performances and RVP our MVP and as a ‘neutral’ you really do notice a lot more. I remember Jose Mourinho’s first few press conferences in England and they were very similar to AVB’s confrontational, defensive and borderline aggressive, so perhaps a good omen for Chelsea because the self proclaimed ‘Special One’ achieved great things during his time at Stamford Bridge. Back to AVB’s press conferences, would a man who should supposedly be scared for his job with Roman Abramovich’s track record really come out and attack the British media and isolate himself further? Whether it be that the Mr Chelski is too preoccupied with his court case, where he stands to lose billions, to really focus on Chelsea but whatever the reason, I can’t help but think AVB knows he has the backing of the 53rd richest man in the world, for this season at least and here’s why. When a new manager arrives he will obviously want to make his mark and there will be players he will want to move on to pastures new. The problem AVB has is you can’t walk into a club as prestigious as Chelsea and start upsetting the apple cart without good reason,, the Portuguese’s handling of Frank Lampard has caused uproar amongst fans, especially as when the Chelsea ‘legend’ has played this season he has consistently scored and put in some impressive displays. However come January a marquee attacking midfielder signing could finally see AVB get his way with the Englishman. So the 34 year old’s ‘tactics’ to remove Lampard are still a work in progress however with John Terry the former British Virgin Islands’ manager has managed to achieve want he wanted, and that is for the England international to look vulnerable and replaceable. Twelve months who really could have imagined that Alan Hansen and Gary Linekar would be highlighting a weakness in John Terry’s game on Match of the Day (well maybe Wayne Bridge had hoped.). The high line utilised by AVB has caused nothing by problems for the defensive line of Chelsea and this allows AVB, probably not in January, but in the summer to bring in players he wants, to play the style of football he wants without there being too much uproar due to the inconsistencies in Terry’s performances throughout this season. A slight kamikaze mission from AVB but sit tight Chelsea fans, twelve months of major overhaul and you could have a man who outstays Sir Alex Ferguson. AVB has a plan and is the man to finally end player power at the Bridge and no doubt bring Mr Abramovich his Champions League.